When brainstorming ideas for his latest word game, Justin Giles of Greenrift Software wanted to create a game that challenged the status quo of the genre. Inspired by classics such as Boggle and Scrabble, Justin launched Perplexicon, presenting players with a 7×7 grid sparsely populated with a mix of letter tiles, required tiles, empty spaces, and other elements for novel gameplay. 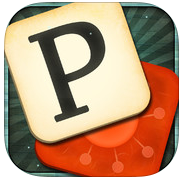 In Perplexicon, you must race against the clock to place tiles on the grid and drag them around to create words. Things get more complicated as “viral” tiles show up and consume other tiles, and once the board is filled or time runs out, the game is over. Featuring more than 100 levels, players can enjoy the gradual increase in difficulty and hours of word-building fun. When developing Perplexicon, Justin relied on Particle Candy for the particle effects, along with various code packages from Glitch Games to help with sounds and data storage. He also implemented the Carrot plugin for Facebook integration and used the store library for in-app purchases via iTunes, Google Play, and Amazon. If you enjoy a good word challenge, download Perplexicon for free from the app markets listed below. is there a FREE trial mode for Particle Candy?? is there a free trial for Particle Candy? As far as I know, no there isn’t. However, it is almost a MUST HAVE for doing particle effects in your apps…that and it’s not that expensive in the grand scheme of things. You could try to roll your own, but the time saved is worth the one time cost of Particle Candy in my opinion. Great job Justin. Did you find a useable dictionary that works with Corona or did you create your own? Thanks Jejf! I developed my own library to handle the anagrams and words. It is a variation of the directed acyclic word graph which I originally implemented in Java. I ported that library to Lua. The compressed DAWG binary files work seamlessly across both libraries. The actual raw list of words is a list I’ve been curating since 2009 when I released my first word game. Just so you know this does not work on my iPad 1. It just keeps crashing, first at the title screen, then level select screen now it’s every time as it’s about to start the level. Thanks Dave! iPad1 support has been sketchy. It works fine on my iPad1, but I have had other reports of it exhibiting behavior you describe. I think it’s a memory issue. I’ve been trying to tweak the textures, etc. to reduce the memory load.